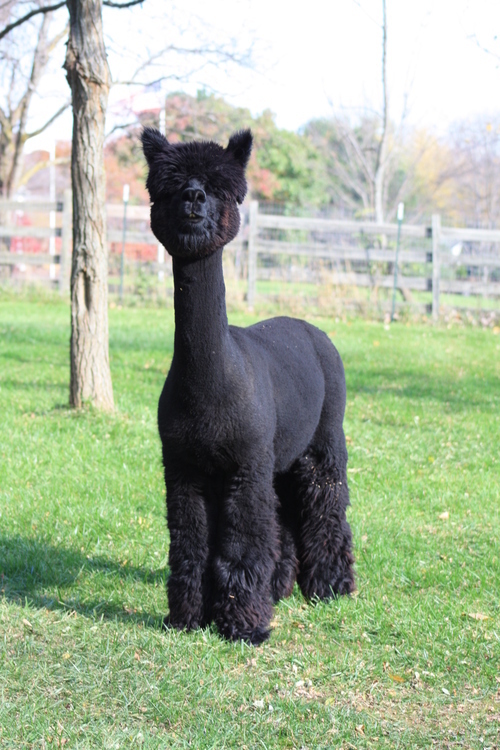 2018 Color Champion at 43 months! 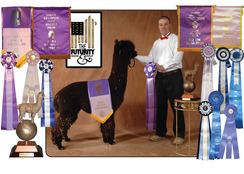 6x Champ, Futurity RC Champ and Sire of Champions! 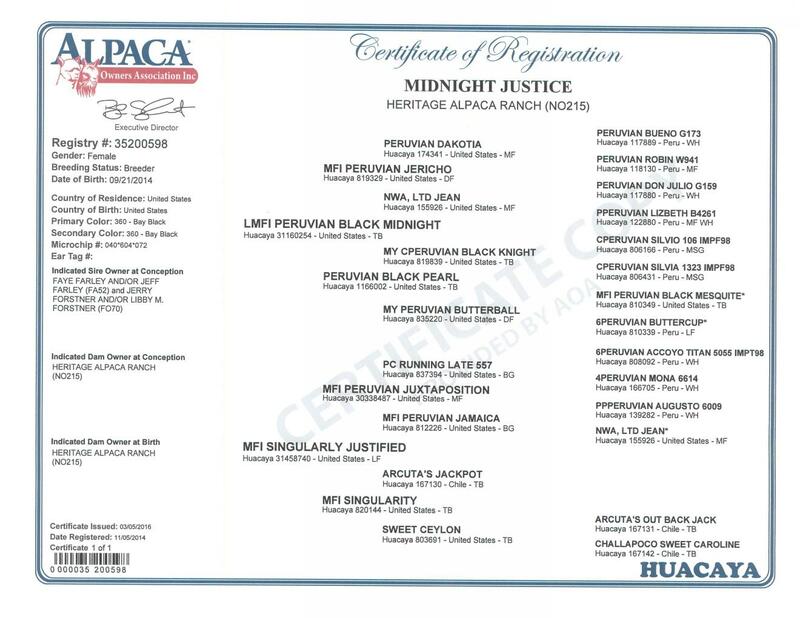 We are proud to announce that we are co-owners of one of the Nations ELITE proven black herdsires! He's proven to make champions of almost ALL colors. 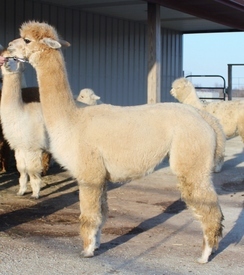 Singularly Justified, or Justy, is a gorgeous light fawn female that we purchased at the 2009 Breeders Choice Auction. She is still maintaining a high level of finenes, density, brightness and UNIFORMITY of staple and micron at almost 5 yrs of age. She is a great dam to her offspring and is easy for us to work with as well. 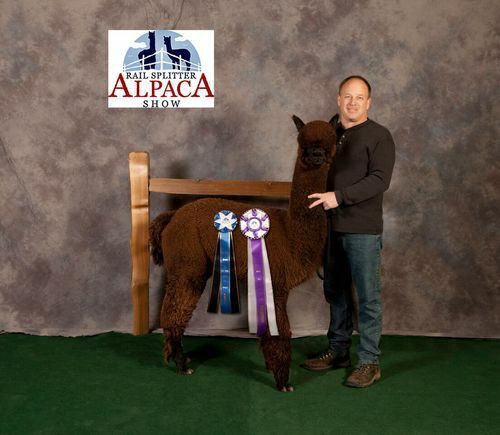 Her most recent cria was a spotted/multi female sired by our co-owned appy male MFI Peruvian Tachometer, a RC Futurity champ. 3x Champ, Color Champ @ 6 years old!! Sometimes you find a hidden gem and boy did we ever! We picked up Midnight Justice as part of a herd dispersal and we knew that this girl was something special. Justice was only show once as a Juvi, but spent the next several years on the farm. 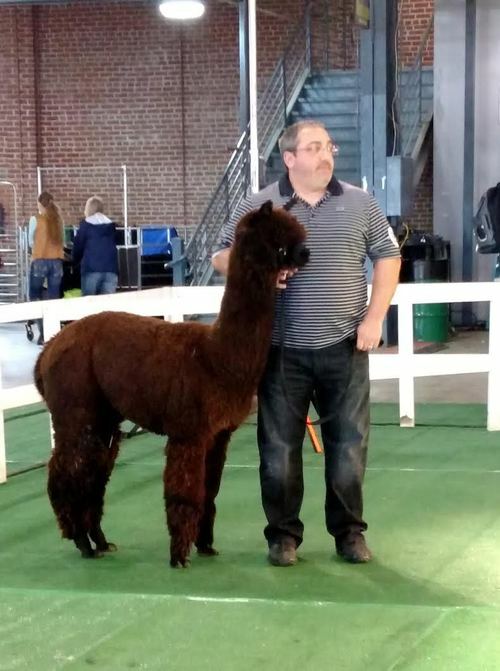 We picked her up at 42 months of age and took her to 3 spring shows, assuming she would be in a class of one, we believed that she would compete in the Championship Classes. 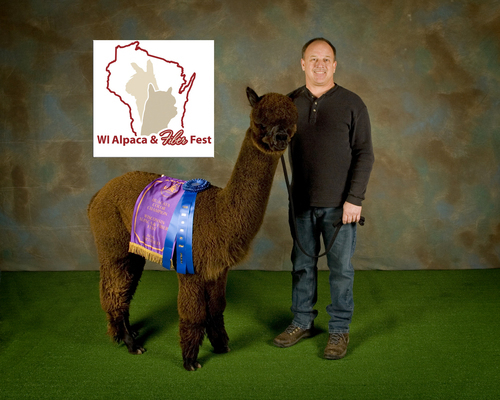 In her debut weekend, Justice took Color Champion in both the Railsplitter Alpaca Show under Sharon Loner and the Illinois Alpaca and Fiber Fest under Robin Naseman . Sharon Loner was in total love with Justice, she was the finest in the classes even finer than the Juvi's! The next weekend was an encore performance with Justice taking the Color Championship once again beating out previous Champions and wowing Judge Peter Kennedy. 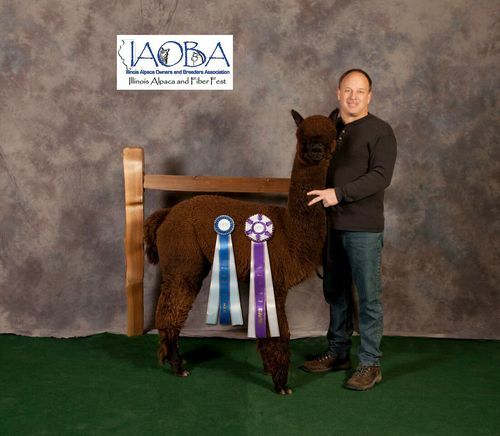 Justice has perfect phenotype, with a super fine, high organized fleece. She carries excellent density and character throughout her entire blanket. We have bred Justice to AVC AJ'S Kodiak. Kodi is a multi champion male that is now reproducing himself and putting champions on the ground. We cannot wait for this cria to hit the ground! This is a case where we are hoping for a male. Either way it will be a show stopper!